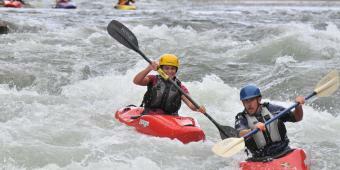 Why should you learn to kayak? Kayaking is one of many ways you can experience the natural beauty New Mexico has to offer. New Mexico is the home of five Congress-designated Wild & Scenic Rivers, including the Rio Grande, Chama, Pecos, Jemez and Red River, as well as numerous natural and man-made lakes such as Navajo Lake, Elephant Butte, Abiquiu, El Vado, Heron, Santa Cruz, Morgan, Storrie, Conchas and Eagle Nest Lake – all accessible within a few hours of Albuquerque and Santa Fe. Closer to home are Lake Cochiti, Fenton Lake, Rio Grande Bosque and White Rock Canyon, which offers calm water in breath-taking scenery through Bandelier National Monument. Kayaking offers something for everyone. 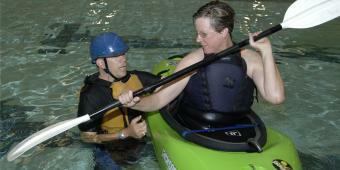 Some people take to kayaking as a way to relax and enjoy the outdoors. Others kayak for cardio-vascular exercise, to access remote hiking trails, camp-sites and fishing holes, view wildlife, experience the intellectual and physical challenges of whitewater or to simply balance living and working in a busy city. Whether you're new to whitewater kayaking, or enjoying your second, third or fourth season, New Mexico Kayak Instruction can help you progress from novice to expert in the shortest time possible. Private lessons are available for those who have a tight schedule or want individual attention. Whether you want to learn the basics, tune up your roll, or improve your whitewater skills, New Mexico Kayak Instruction can help. 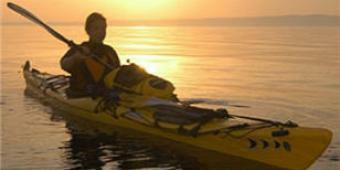 Recreational and Sea Kayaking offers something for everyone. Let New Mexico Kayak Instruction teach you the skills needed to maneuver your kayak safely, effortlessly and confidently across quiet water. 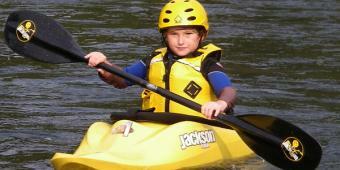 Kayaking is something your whole family can do together. Your kids will learn valuable life-lessons like responsibility and accountability, using good judgment and making good decisions, teamwork and respect for the environment, while building self-confidence and a winning character.